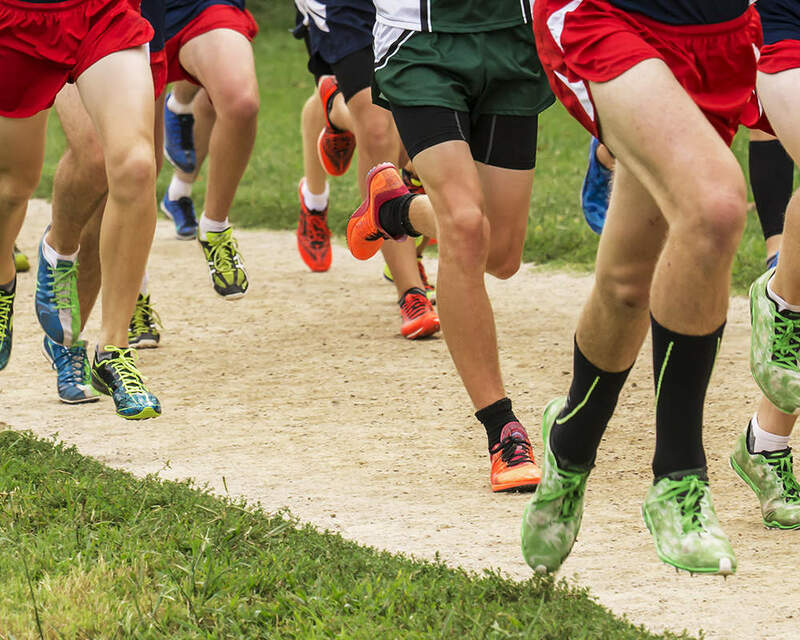 Cross country is officially a fall sport, but it is still summer and it felt like it Saturday morning at Sharp Springs in Smyrna, Tennessee, where Ravenwood's cross country teams opened their seasons at the Voyles Classic. Battling heat, humidity, and seemingly every school in middle Tennessee, the Raptors and Lady Raptors got their seasons off to excellent starts. The varsity boys ran first, with five of the seven runners never having run in a varsity race before. Despite their lack of experience, the boys cruised to a sixth place finish in a field of 59 scoring teams. Freshman Matthew Rigsby led the way with a 16:40, followed by fellow frosh Diego Zuazua and senior Nathan Tidwell, all of whom medaled. Juniors Sebastian Bielski and Everett Jackson rounded out the scoring and junior Blake Brown and sophomore Jack Dang were sixth and seventh on the team. Despite missing their top two runners, the Lady Raptors came within three points of a win, scoring a very solid 62 points. Junior Julia Henderson was Ravenwood's first finisher, followed closely by sophomore Jamie Blaylock, freshman Ella Kuban, senior Hailey Erickson, and junior Addison White. In her first ever cross country race, junior Caroline Groves finished sixth for the Lady Raptors as all six Ravenwood runners medaled. The JV boys toed the starting line next and muscled their way to a fourth place finish out of 31 scoring squads. Carter Myers, Bryce Akridge, Daniel Nicastro, Kevin Frost, Nolan McGinnity and Brian Duncan scored for Ravenwood with Evan Bentley and Nassim Zahrir placing sixth and seventh for the Raptors. The JV girls capped the day with a win, drubbing second place Brentwood by 25 points, 37 to 62. Hannah Cho led the girls with Haley Berger, Hannah Williams, Elise Strevell, and Madilyn Garrison scoring as well. Carson Everman and Elena Vidal were sixth and seventh as four of the top seven JV girls were running their first high school race. To see complete results from all four races, please visit tn.milesplit.com. All distance running Raptors will be back in action in two weeks at the Cherokee Classic in Knoxville.